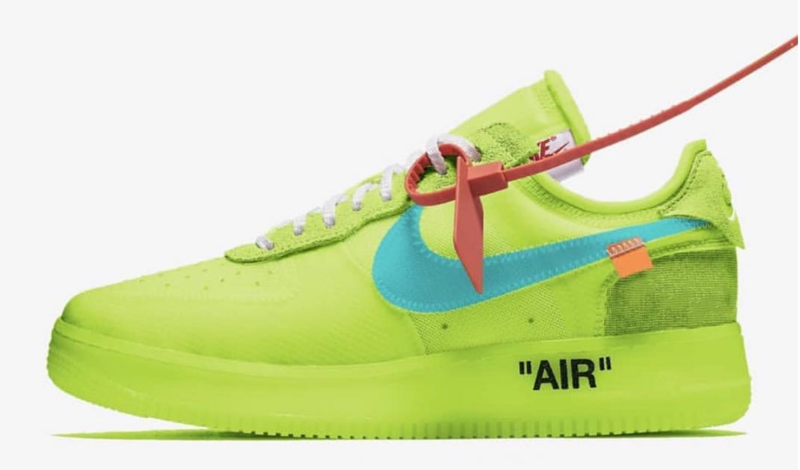 Off White x Nike Air Force 1 "Volt"
The Off White x Nike series continues in 2018 with another colorway sporting a Volt take. The Off White Nike Air Force 1 will feature a Volt upper with hits of cone, black and hyper jade swooshes. Further details include the zip tie and orange tab on the swoosh. Let us know if you’re feeling this new iteration of the Air Force 1 x Off White in the comments below. In the meantime stay tuned with Modern Notoriety for a release date.